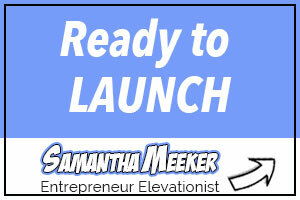 Another week down and I finished reading the book “Launch” by Jeff Walker. I will say, without a doubt, it’s an awesome book that I highly recommend to others to read. The importance of having my own email list and how to grow it. Creating and marketing a product and the “Launch” process. It’s truly ingenious. I don’t need to have lots of money to get started. This is always a plus. I was truly amazed at HOW MANY PRODUCTS his process applied to. And it is a step by step process, which he explains and is NOT a theory. I can’t wait to launch my own product. This week, I’ve been working hard on the new website which will be launching soon (maybe even before this post goes live). It’s going well but a lot of work. I’m looking forward to the launch to share with all of you. Major milestones in my personal life, my oldest daughter (about to be 20) got her driver’s license. I know…almost 20….and just getting her license seems unimaginable, right? For me, I was at the DMV on my 16th birthday for my permit and 90 days later (that was the minimum time that had to pass before taking drivers test to get my license) to take my test. But my daughter just wasn’t interested because we live within walking distance to many things. It wasn’t until she thought about road trips and more freedom that she decided to take action. THEN, it was time to go car shopping….OMGosh….did I mention I didn’t like going car shopping in 95+ degree weather plus humidity? We found one, thank goodness for Autotrader.com and patience. I ended the week with a visit to the waterpark with my family. It was hot and perfect for being in the water. That is something I make a priority and Saturday’s is my designated family day. So far, this has worked out really well. Yes, I’m sure there will be times when I need to switch it with another day BUT I will do my best to always have at least ONE day per week to completely focus on my family. Completed most of the restructuring of new website. Completed rebranding of social media header images. Although this list is short, there was A LOT involved with it with the restructuring of the newly branded website. Lots of website development, design, branding, web customization and content creation, so I’m feeling VERY accomplished as I reflect back. And most important, I fit in awesome time with my family (no device day). Thanks for connecting and I’ll talk to you next week.